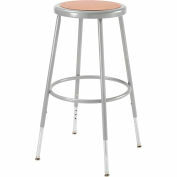 Heavy-duty 18-gauge x 7/8" tubular steel electrically seam-welded construction assures strength and long lasting durability. Steel foot ring reduces pressure off knees. Telescoping legs adjust on 1" increments. 14" steel/hardboard seat provides additional comfort. Durable gray baked enamel finish. Sold 2 per package of a model. 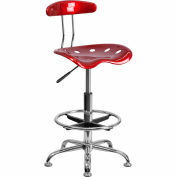 Available styles are Steel/Hardboard Seat and Steel/Hardboard with Steel Backrest. 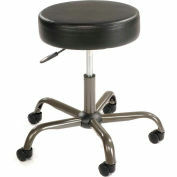 Adjustable heights are 12"W x 5-3/4"H steel backrest, 14" hardboard round seat. 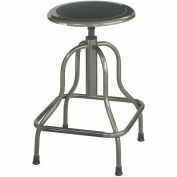 Durable gray baked enamel finish. 2 Year Limited Warranty. 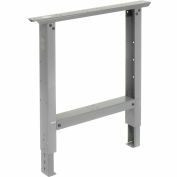 Sold in package quantities of 2, priced each. 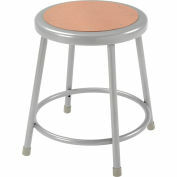 This stool was purchased for use in classroom. Holding up well! It's an ok chair. It is a bit uneven. Like that it's height is adjustable.I wish it swiveled. 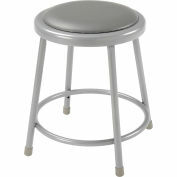 Your review: This stool was purchased for use in classroom. Holding up well! Your review: It's an ok chair. It is a bit uneven. 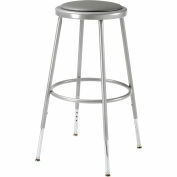 Like that it's height is adjustable.I wish it swiveled. Your review: It is exactly what I expected. 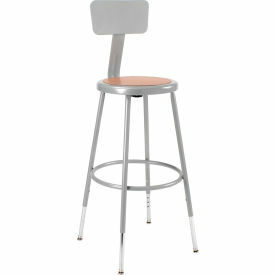 Hard steel with adjustable height. Your review: You get your money's worth on this one. Very economical! Your review: Exactly as described. Love it Easy to assemble. 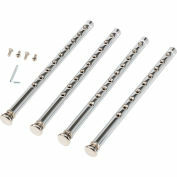 Your review: These are just what I wanted for my shop - Basic and Simple. Nice to have the adjustable height. 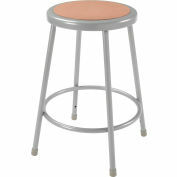 Your review: I am very pleased with the stools that we are using in the shop. They were easy to assemble and went together smoothly. 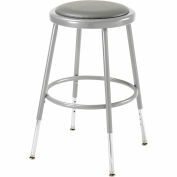 Your review: Your standard shop class stool.